The Sun Family hot tub is a great choice if you are looking for a family sized hot tub in an entry level range that comes in at a great price and with a fantastic warranty, offers you a great value for money hot tub for your family. 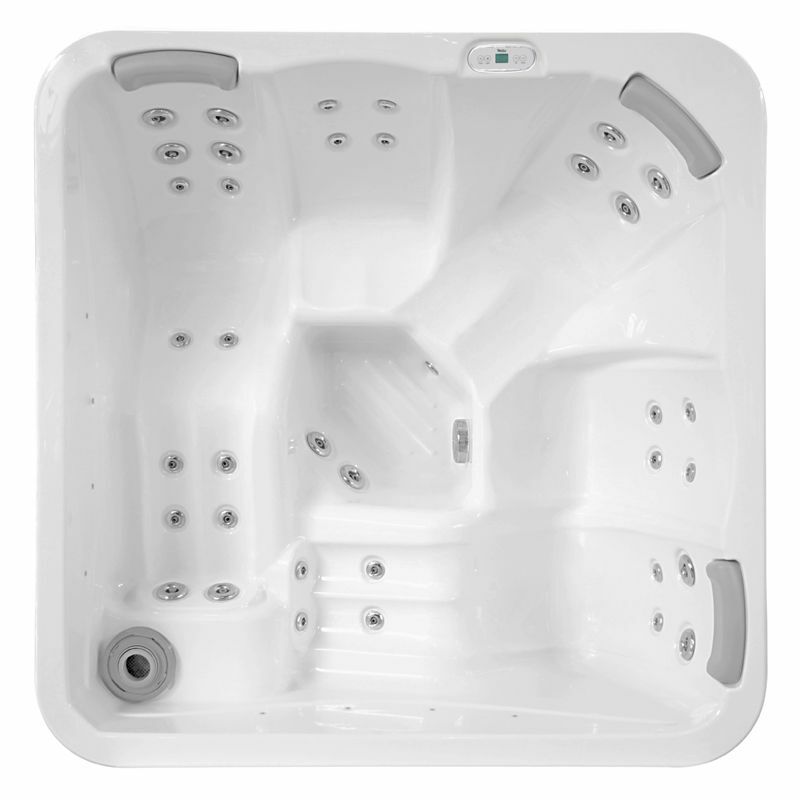 Seating 5 people with 2 loungers, the Sun Family is a square shaped hot tub for 5 people at an exceptional price. There are 8 LED lights and a 3 HP pump for plenty of fun from the 36 jets that will blast around you. If you want to buy a hot tub that offers great value, backed by a warranty from a trusted and reputable manufacturer, the Sun Family hot tub in the MyLine range from Wellis is perfect.